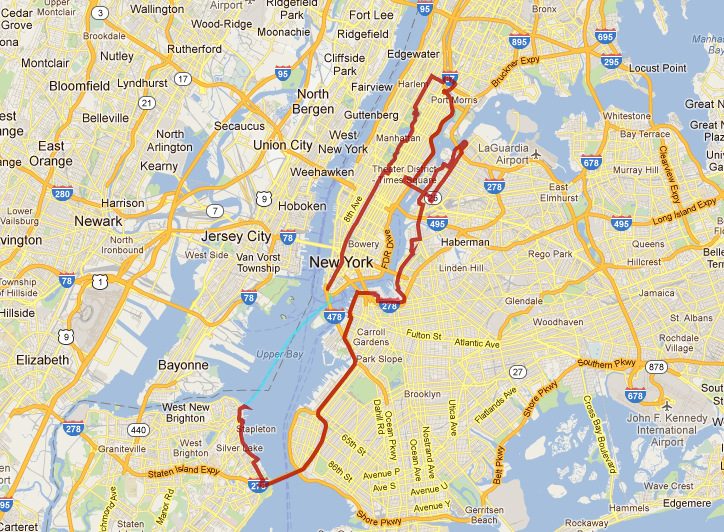 The Five Boro Bike Tour is this Sunday (May 6, 2012) and is sold out. New York’s Five Boro Bike Tour is the largest recreational cycling event in the United States. Every year on the first Sunday of May, over 30,000 riders participate in the 42 mile ride around New York City. The route, closed to automobile traffic, takes riders through all five boroughs of New York City, across five major bridges, and finally across New York Harbor on the Staten Island Ferry. It is a lot of fun for cyclists of all skill sets and highly recommended.